Ok, now it’s time we have a serious conversation about what’s important. When I first started playing volleyball over a 25 years ago, I made a LOT of mistakes. I WISH that someone would have pulled me aside when I first got started and explained this to me. I would have saved a ton of time and it wouldn’t have taken me so long to figure all this out. So, I’m giving “the secret formula” to you now. Most volleyball players (me included) – when we first get started, it’s usually because we love competing at sports. We get so excited and want to compete all the time. So, we play a ton of volleyball and as a result of all this experience, we become great volleyball players… right? Well – for most of us that’s the WRONG way to do it. The fact is the best volleyball players are TRAINED to be that way. The sooner you understand that, the sooner you’ll turn into the player you’ve always wanted to be. Many people are led to believe that great athletes are born that way. This isn’t usually true. Almost every great athlete didn’t start out that way. The fact is, it took many years of practice to become the highly skilled performers that they’ve become. Manny Ramirez has been portrayed as a real spacey and unfocused baseball player. People think he's a natural born hitter. The fact is Ramirez obsessed with hitting a ball off a tee and spends many hours every day in the batting cage. Tiger Woods practiced daily spending three hours at the range with two and a half hours of putting and chipping, with a full 18 holes. The FIRST question you need to ask yourself is, “what is the RESULT I am trying to achieve”? 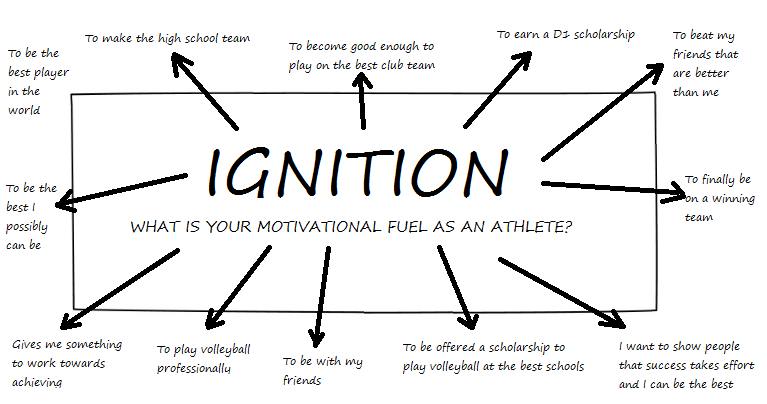 Why is it you want to improve at volleyball? Is it to make the school team? Are you trying to earn a college scholarship? Do you play because your friends play? The SECOND question you need ask yourself is, “what POSITION do I want to excel at”? 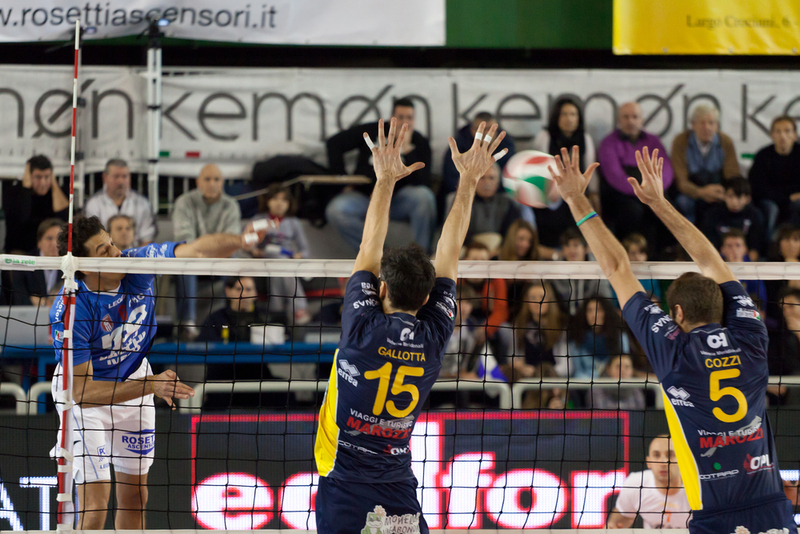 Do you want to become a Great Setter? Outside? Middle? Libero? Or if it’s beach volleyball, then are you more geared to block at the net or defend behind a big blocker? It’s important to narrow down to a specific position because you can’t just go out there and think it’s a good idea to try and become great at everything. There’s only so much time to train. This is why most best players spent years developing specialized skills. The THIRD question you must ask is, “what SKILLS do you need to improve”? Each position in volleyball has specialized skills. Like I said before, you only have so much time to train. So, you don’t want to waste your time developing skills that you will hardly ever use. For example, it doesn’t make sense for a libero to spend hours and hours learning how to block. I would agree that a libero practicing blocking will make them a better libero because they will get a better understanding of how to work well with a blocker, but it wouldn’t make sense for a libero to train really hard to become the best blocker. So, there are specific skills for each position. If you specialize in serving, then you need to focusing on developing your hand-eye coordination. You need to understand what a good serve is. You need to be able to perform under pressure. You will need to recognize vulnerability in a serve receive. What passer is struggling? How can my serve take the opponent out-of-system? The DS excels at either passing or defense or both. The DS will spend a ton of time focused on reading the opponent. This involves reading both the setter and attacker. The better the DS can anticipate the opponent, the easier it will be to get in position to make the defensive play. Like the defensive specialist, the libero excels at either passing or defense or both. The libero also needs to become great at setting the ball from the backcourt. Also, the libero needs to learn how to bumpset from inside the 3 meter line. The setter needs to excel at many things. Quick feet to the ball and hand setting skills are key. Since the setter is usually also a team leader, the setter needs to develop leadership and social skills. A high volleyball IQ is also important since the setter will need to make critical decisions. 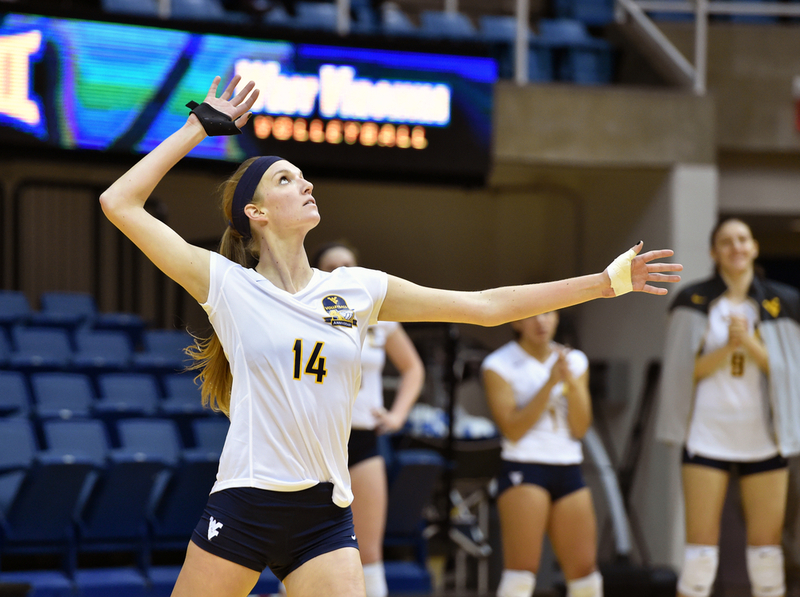 The outside hitter excels at attacking the ball from the left front area of the court. For most teams the outside hitter is the primary attacker. It's also important for the outside hitter to develop passing skills since this player will often be a big part success in serve receive. The Opposite is the player that attacks from the right side. This player is usually matched up to block with opposing outside hitter. Since the outside hitter is usually a key offensive weapon, it's important for the Opposite to develop good blocking skills. Also, some coaches prefer the Opposite to set when the setter takes the first ball, so developing setting skills could be important. Often the best blocker on the team is the player playing the Middle position. On defense, the Middle needs to move quickly to the left and and to the right. The Middle helps out to block all along the net... making quick lateral movements in order to get in position to jump and block. The middle hitter also develops skills for the quick attack. These attacks can be anywhere along the net, usually near the setter. When running a 5-1 offense, the setter may set a "slide attack" to this player. This is a ball that's set toward the right side of the court for the Middle to take a slide approach (chasing the ball along the net and jumping off one foot). Skills training is what separates the best players from everyone else. If you are doing the same thing over and over with no variation, you are not practicing deeply. To make your practice more effective, focus on making it tougher. Change one or more factors that will help stretch yourself. For example, if you’re passing a ball to a target, try passing from a variety of distances. If you’re serving a ball trying to hit zones, set a shorter time limit for reaching your goals. You want to constantly switch it up so that you’re always making and fixing mistakes. Struggling in a particular targeted way, operating on the edge of your ability… this is where the magic happens. That formula (The Secret Formula) is the KEY to your success in volleyball. It’s the way you should be thinking about training for volleyball when you FIRST get started (not 7 years in like I did… ha ha). I answer those questions (and a WHOLE LOT MORE) in my new coaching products, workout programs, email newsletter, and blog posts. And if you haven't signed up to receive my training secrets, you can here. P.S. Are you ready to take your training to the next level? Check out my new coaching programs below. 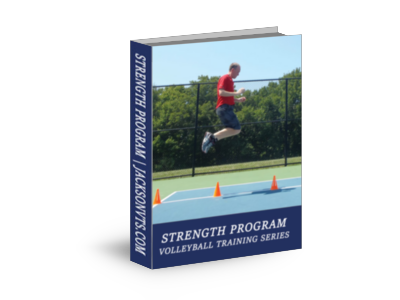 New Volleyball Workout Programs Now Available!